Baptism is a beautiful symbol of a person’s love for Jesus. 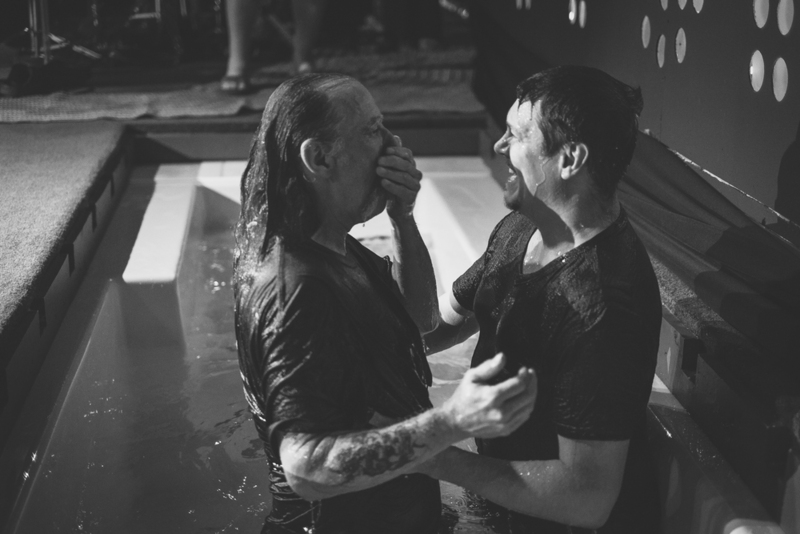 When a person decides to be baptized, they are telling their friends, family, and church that they have decided to follow Jesus with their life, and they want everyone to know it. At SCC, we do baptism services with our entire church present, and it’s a gigantic celebration for our church family. Many people have said that baptism Sundays are one of their favorite days of the year. For a person to be baptized, they need to have made a decision to follow Jesus. This means they have decided they need God’s forgiveness, they recognize that Jesus is the only one who can forgive them, and they have turned their life over to Jesus to lead them each day. Baptism comes after that decision. People often will ask us if we baptize infants. We don’t, because we don’t believe babies are able to make a decision to follow Jesus for themselves at such an early age. We do child dedication services with parents, where families are given the chance to make a public statement that they will do their best to raise children who love Jesus. It is a public declaration of an intent by that child's parents to come alongside them and do their best to raise them to love Jesus. First, it’s one of the most direct commands Jesus gives us. He tells His disciples in Matthew 28 to go everywhere, making disciples, and baptizing them. Baptism is a step of obedience and trust. Second, it’s an incredibly powerful statement to make for our friends and family. When people see us take a step like baptism, it shows a deep commitment to Jesus that words alone don’t always convey. Third, it’s a celebration! Our church sees each baptism as the big deal it is. We celebrate together, and that helps draw us all closer as a church family. What steps do I need to take to be baptized at SCC? There are several ways to start the process. We offer a simple baptism class for adults and for children, usually every other month. If you are at church, speak with someone at our Connections Bar in the main lobby, and they can help you get signed up. Or, you can call our church office, and request that your name be added to the class sign-up list. Finally, you are welcome to contact Merry Popplewell, and ask for more information.